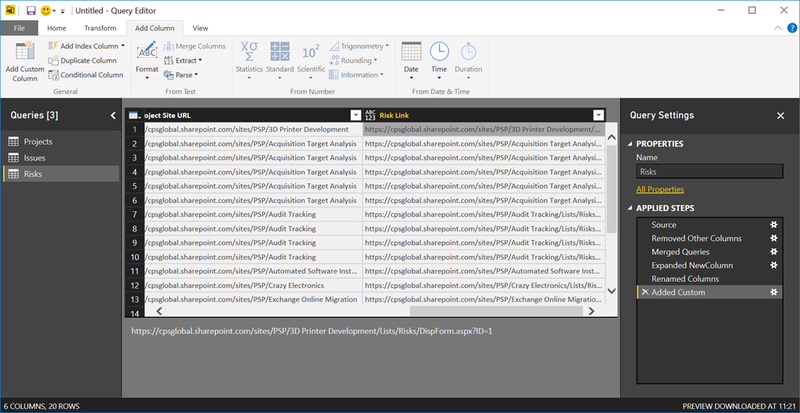 This blog post will show an option to capture Microsoft’s PPM Project Online data into a SharePoint list on a schedule to enable time driven data capture for snapshot / trend reporting capability. 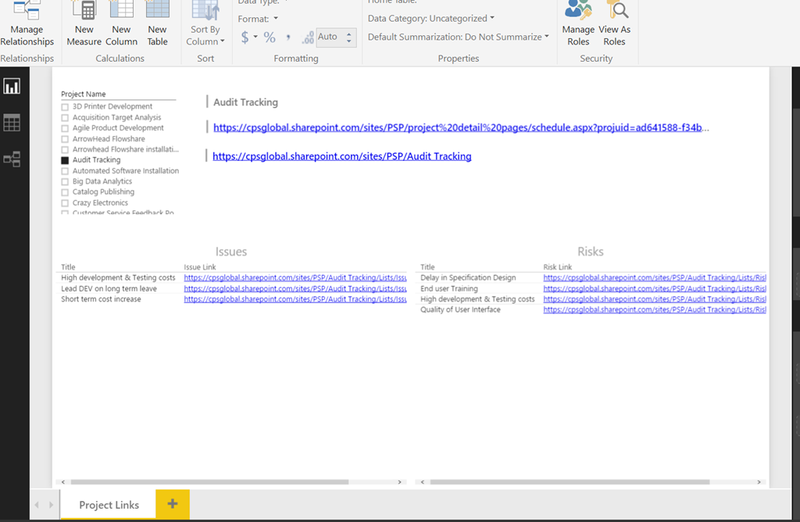 This example makes use of a PowerShell script I created to get the data and write this to a SharePoint list. 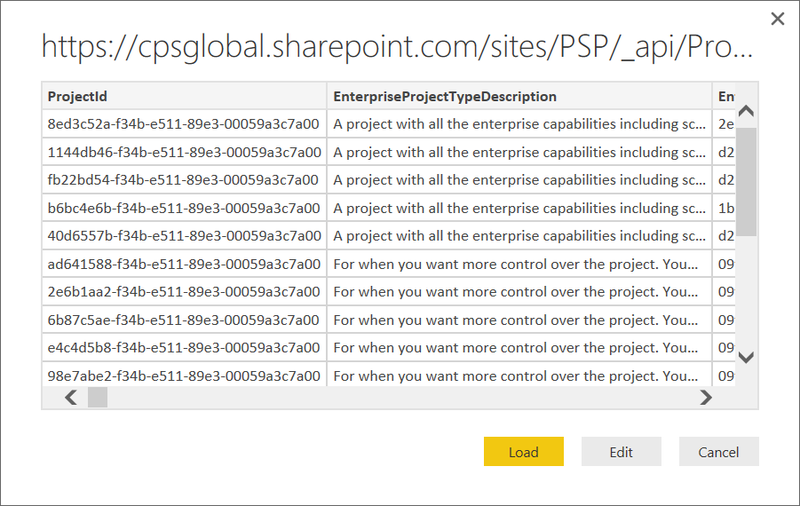 The PowerShell script will use the Project Reporting OData API to get all of the specified project data in the PWA Site Collection then create a list item on the specified SharePoint list. The user setting up the script will need to update the source PWA instance URL, username, password and list name. 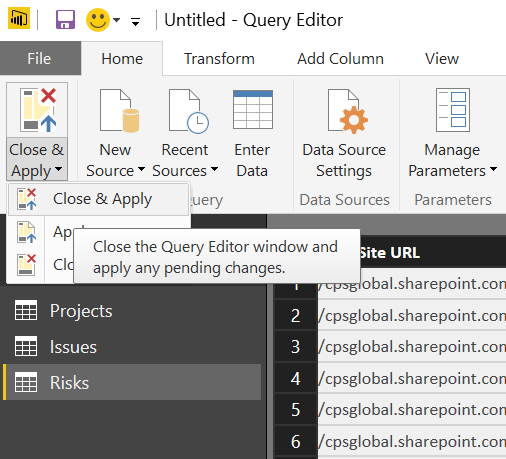 The account specified will need access to the OData API in PWA and contribute access to the target SharePoint list. 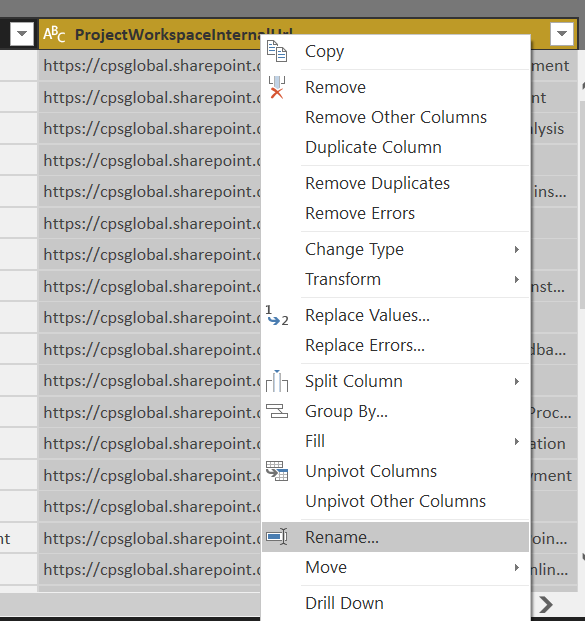 The SharePoint list will also need to be created beforehand with the required columns. 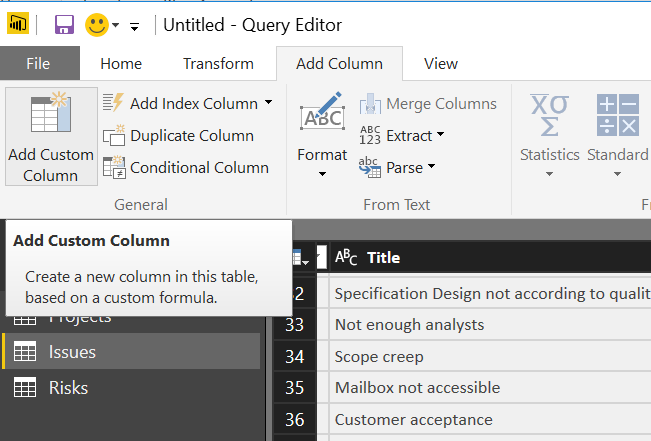 The OData query will need to be updated to include the correct project level fields required and the part of the script that creates the list items will need to be updated too. This is covered below. 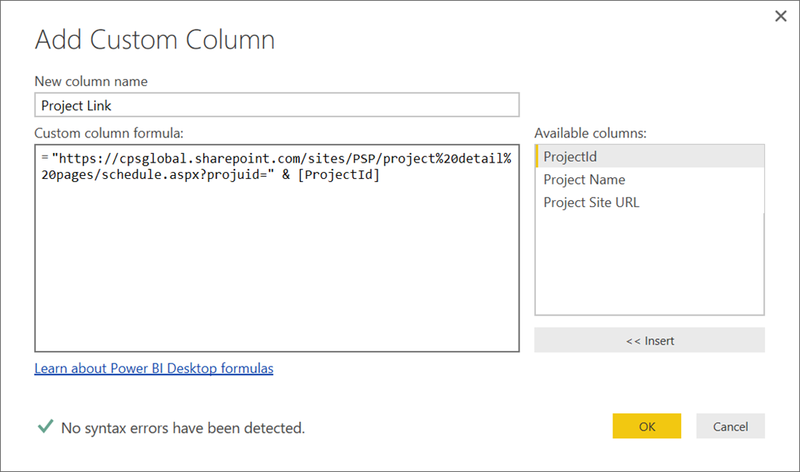 This can be installed from the SharePoint Online Client components / management shell. 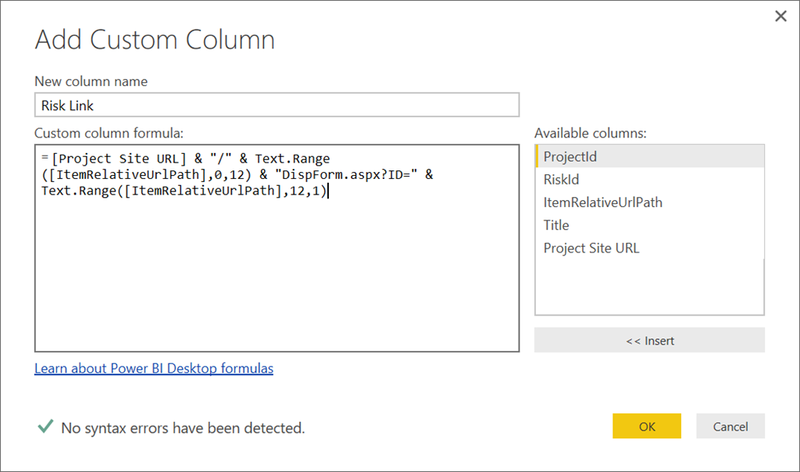 I used the dll from the SharePoint Online Management Shell in this example. 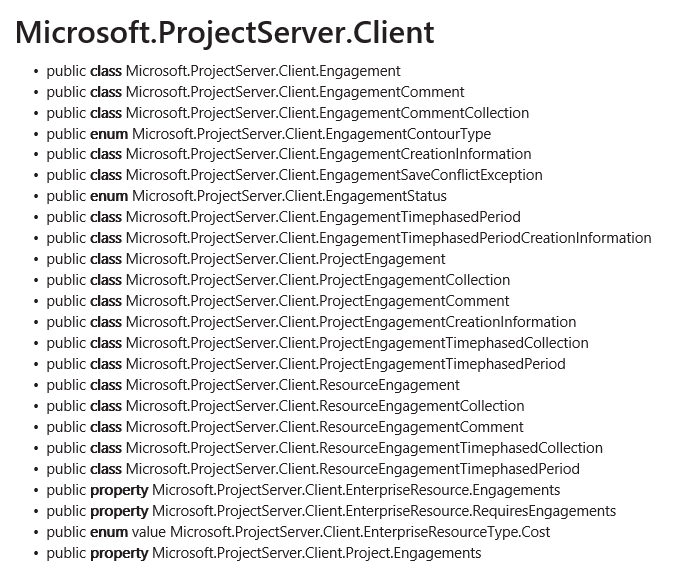 Please note, this has only been tested in PowerShell 3.0 and might not work in other versions. If you have any issues try this in PowerShell 3.0. 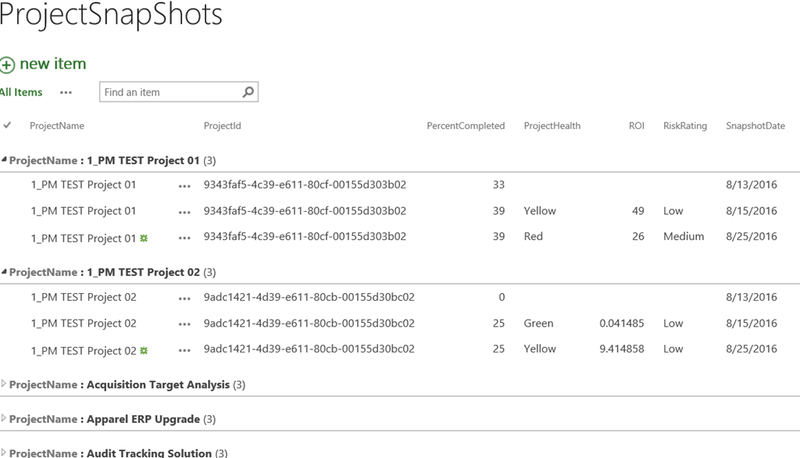 The SnapshotDate column was set to have today as the default value so that when the items are created the date is set automatically. 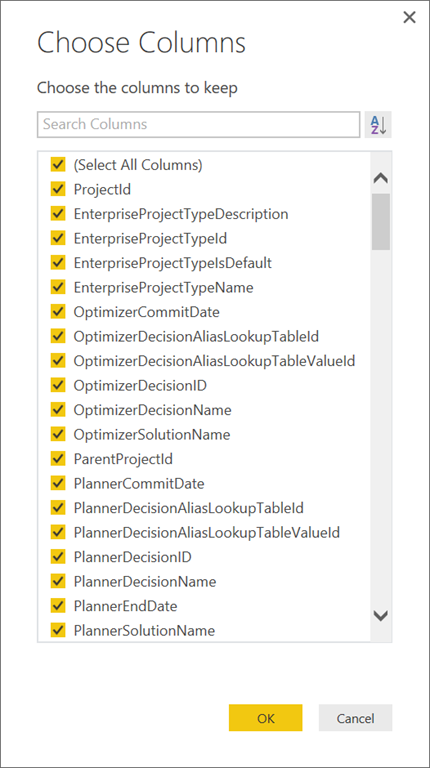 $url = $PWAInstanceURL + "/_api/ProjectData/Projects()?`$Filter=ProjectType ne 7&`$Select=ProjectId,ProjectName,ProjectPercentCompleted,ProjectHealth,ROI,RiskRating&`$orderby=ProjectName"
This is where you map the project level fields to the correct SharePoint list columns based on the data you are capturing. 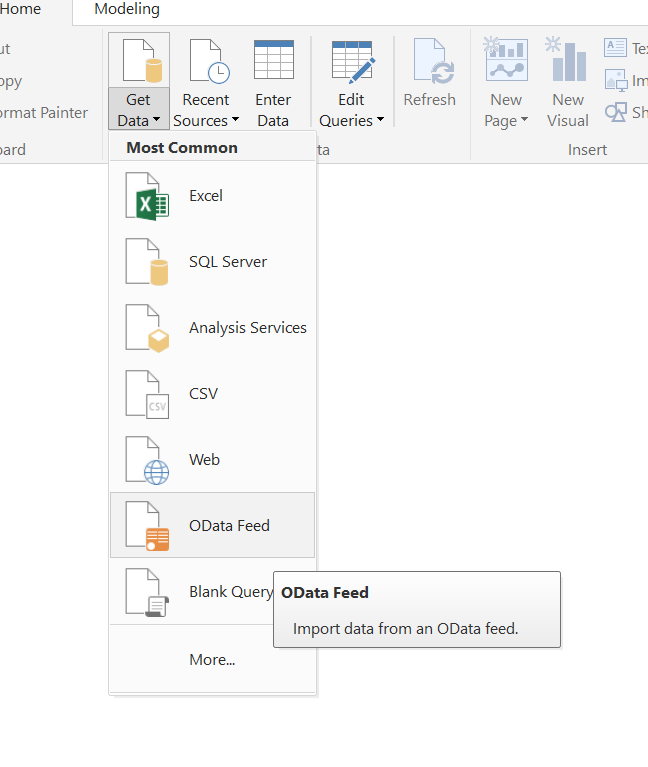 You could then create a snapshot / trend report as required from the list data and even join to the live Project OData API if you capture the Project ID as I have in the example script / list. 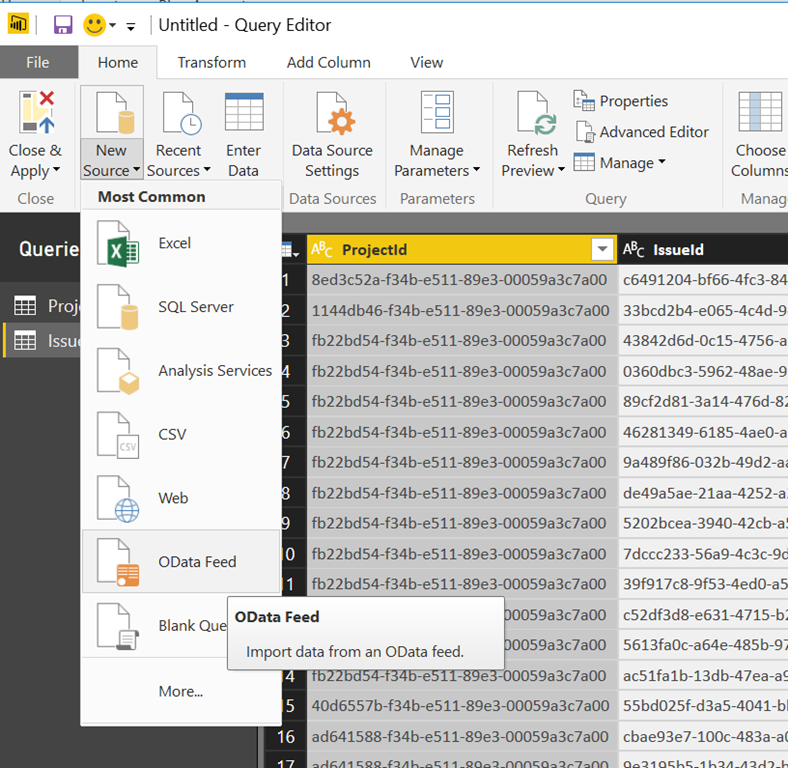 A simple time driven data capture to enable snapshot / trending reports for Project Online. 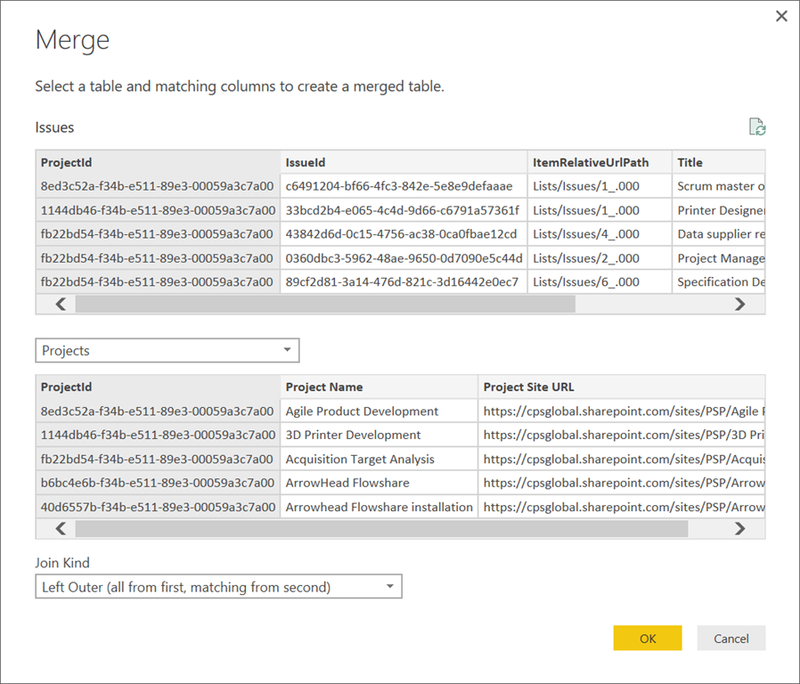 This script could easily be modified to capture the data into a SQL database, either on-prem or in Azure SQL if required. Also if this was to be run in production the script should be updated for error handling with try / catch blocks etc. 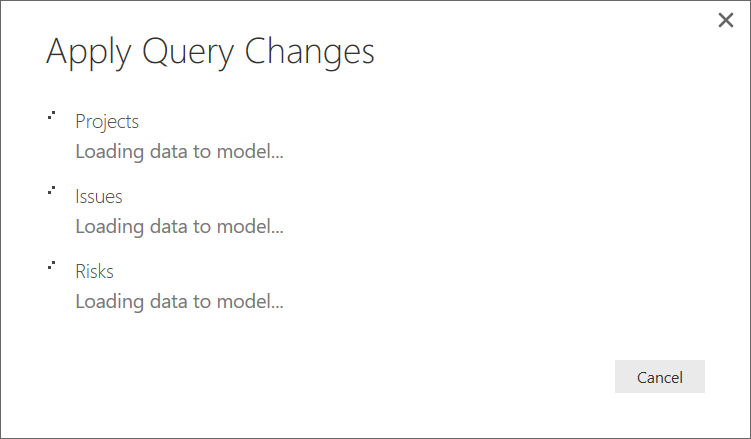 Also worth noting, if you haven’t done so already, install Service Pack 1 http://support2.microsoft.com/kb/2880556 first if installing the August 2016 CU. 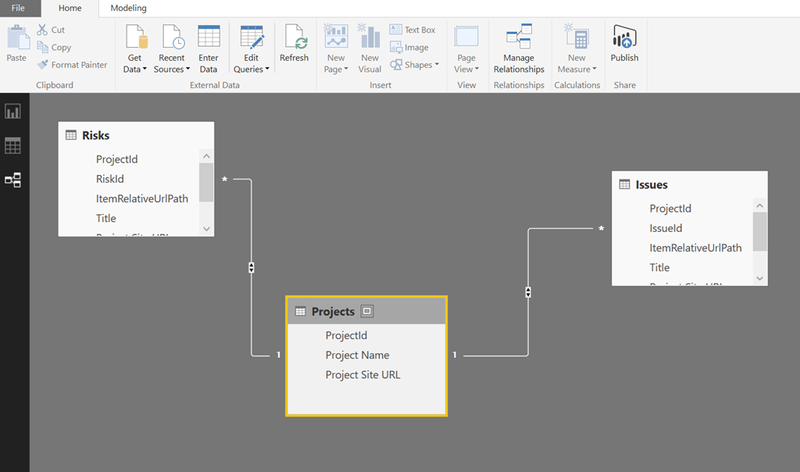 In this post we will look at creating a very basic Power BI report that includes hyperlinks to various entities in Microsoft’s Office 365 PPM Project Online PWA site. 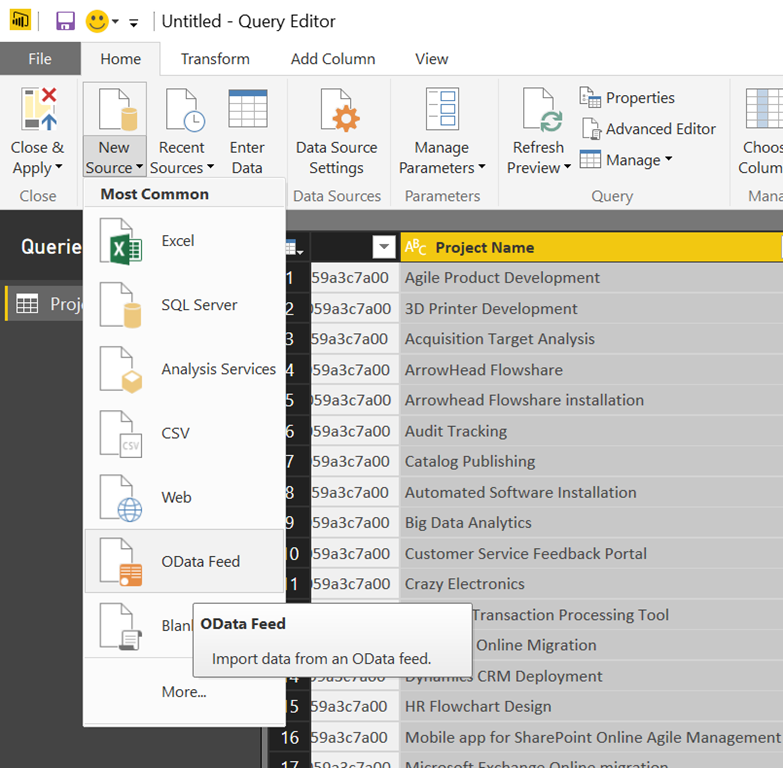 The report created here will be purely to show you how to create links to the Project Site, Project Detail Page, Issues and Risks items. 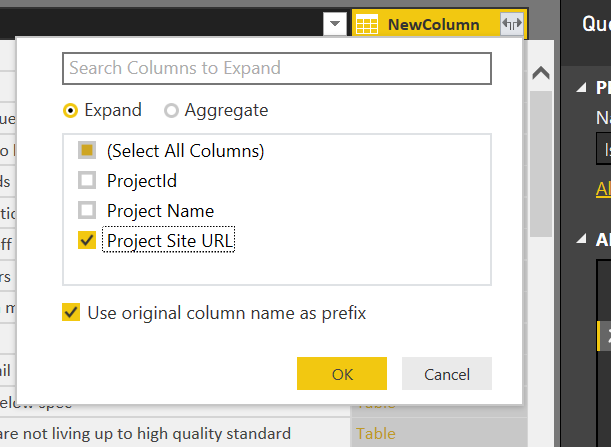 Update the PWA site URL to your Project Online PWA site URL and update the PDP if required, this one uses the Schedule PDP. 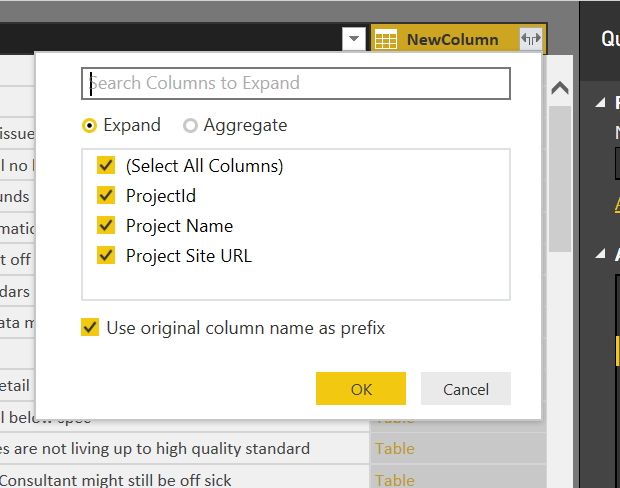 Repeat this for the three custom columns created: Issue Link, Risk Link and Project Link. 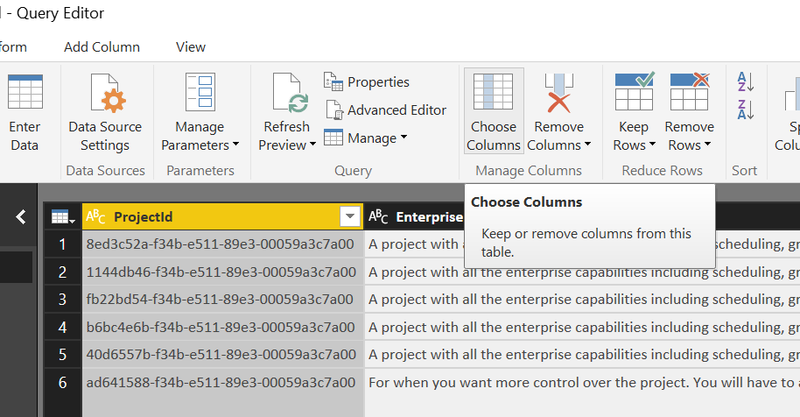 This is a very plain report as you can see, but this demonstrates how to create hyperlinks to keys areas of the project from a Power BI report.